There are a number of possible outcomes of a DCP&P investigation in New Jersey. Sometimes an investigation will be conducted and closed without any issues. In other cases DCP&P may require you to submit to certain services for substance abuse or other related issues. And in some cases the State will try to remove your children from your custody (sometimes temporarily and sometimes permanently). The DYFS defense lawyers at the Tormey Law Firm LLC know how important your family is to you. That’s why protecting your family and your parental rights is our number one goal. Brent DiMarco, a member of our DCP&P defense team, worked for two of the larges DYFS defense firms in NJ before joining the Tormey Law Firm in 2018. In addition, Travis J. Tormey, our managing partner, has a perfect 10.0 rating on AVVO, an attorney rating service, and he has received the client’s choice award for four straight years. Let our experienced attorneys handle these allegations (whether it be a DYFS investigation or a criminal investigation or both). Contact our offices anytime for immediate assistance at (908)-356-6900. The initial consultation is always provided free of charge. We represent clients throughout Hudson County NJ including in Secaucus, Kearny, North Bergen, and Bayonne. What are the possible outcomes of a DCP&P (formerly DYFS) investigations in New Jersey? FAQ: Can the Division take your child away from you? Yes. If DCP&P takes custody of your child there must be a Court hearing within two days so a Family Court judge can decide if the removal was appropriate. If the Division decides that a child is in imminent risk of harm during an investigation, DCP&P can take temporary custody of the child by executing an emergent removal also known as a “Dodd” removal. In other words, if DCP&P determined that your child has been abused or severely neglected to the point where remaining with you would be contrary to the welfare of your child, the Division will take your child away from you. The Division does not need to go to court first. But, there must be a court hearing within two business days where the Division will present its case to a judge who must determine whether or not it is contrary to your child’s welfare to remain in your custody. Because your custodial rights are at stake during the Court proceeding, you are entitled to an attorney and should consider having an experienced DCP&P defense attorney with you to protect your rights. In addition, the Division is required to notify the county prosecutor’s office of severe cases of abuse and neglect (for potential criminal charges). 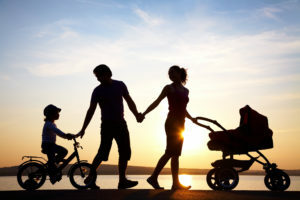 In addition to deciding that it would be contrary to the welfare of your child to remain in your custody, the Court must also determine whether or not the Division exercised reasonable efforts to avoid taking custody or, in the alternative, whether there was an emergency that excused the Division from exercising reasonable efforts to prevent taking custody. Furthermore, if the Division does take custody of your child, the Division must assess available relatives for placement and provide the parents with visitation unless visitation poses a risk to the child’s health and safety. An alternative to DCP&P taking custody of your child is a Safety Protection Plan in which you agree with the Division to implement actions to protect your child. In some circumstances the Division may ask you to agree to have no contact with your child for a short time while a dangerous situation stabilizes. However, if you agree to leave your child in the care of another individual as part of a Safety Protection Plan, the Division cannot restrict your access to your child for more than ten days without taking you to court. Another possible outcome of a DCP&P investigation is that the Division might not take custody of your child but determine that you need to attend services, for example therapy or substance abuse treatment, to assist your family with achieving safety and stability. In other words, the Division may determine that your child or family could benefit from services but that court intervention is not required to ensure the best interest of your child. On the other hand, the Division could determine that services will benefit your family but that the Courts should monitor your compliance with the services to ensure the best interest of your child. In other circumstances, the Division may determine that your child is well and that your family does not require any assistance from the Division to ensure the child’s health and safety. Whether the Division has already taken you to court or is contemplating doing so, you should consult with an experienced DCP&P defense lawyer to discuss your rights and what the Division can and cannot do either in or out of court. Contact our experienced DYFS defense lawyers now for immediate assistance at (908)-356-6900. The initial consultation is always provided free of charge.